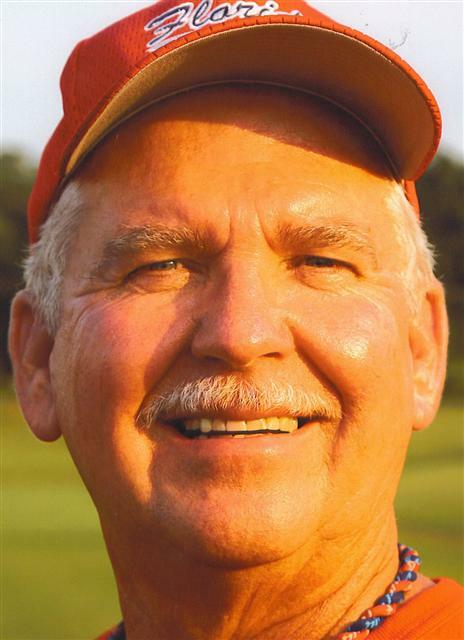 Murl Skalla Kenny Green wrote, "Murl and I gave up managing the young men's teams and started the Scrap Iron Softball Club for Seniors in 1990." "Murl was not only a manager, but a sponsor as well. 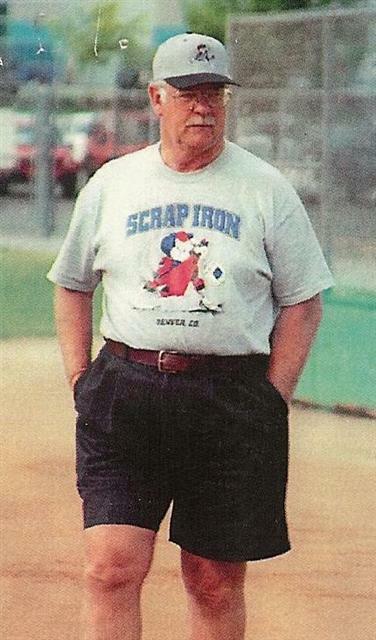 He contributed each year to the Scrap Iron Club. 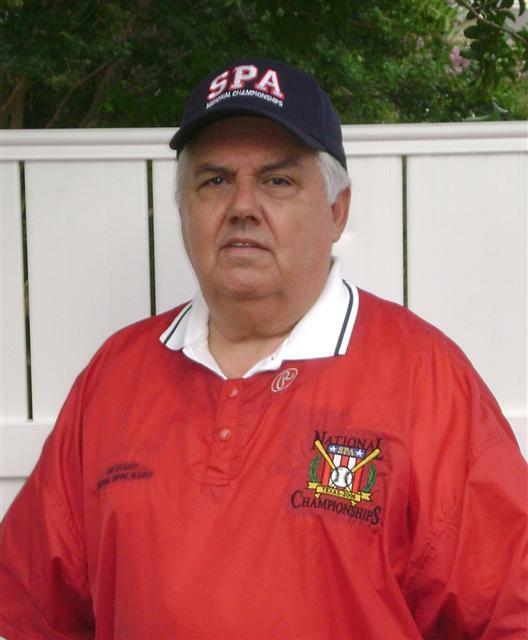 Because of Murl's loyalty to the club, we have over 200 members and 11 teams ranging from 50's thru 75's." 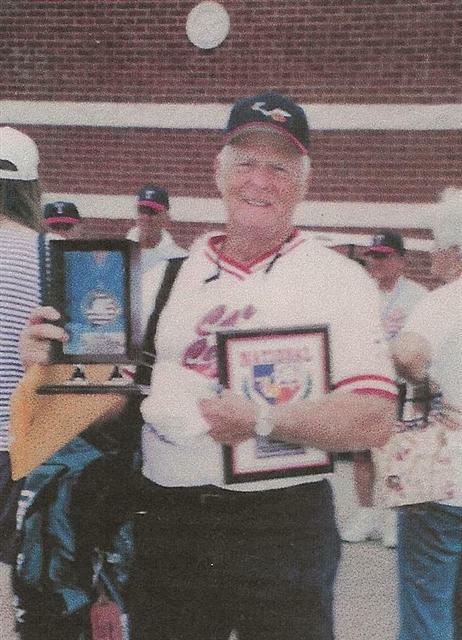 "Murl had a tremendous impact on a large number of senior players from all across the country. He helped them reach the highest possible level of play. 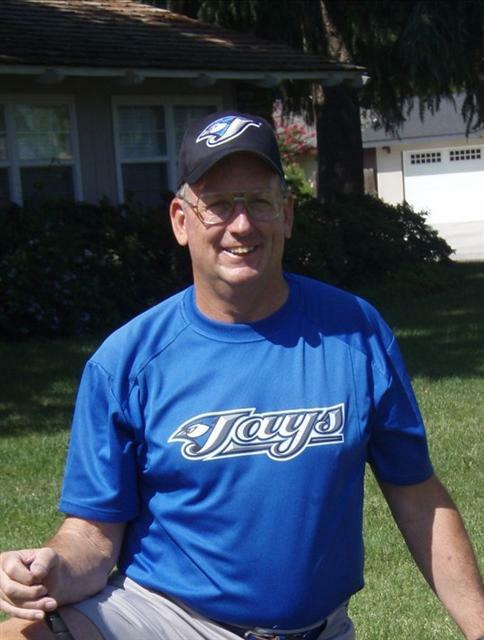 He was loved by the senior softball community, and will be greatly missed." Ridge Hooks said, "I talked to Murl a few days prior to his death, and although struggling with cancer, all he wanted to do was talk about rebuilding the Scrap Iron team. He was telling about their new uniforms, and how he and Kenny were looking forward to a great new season." Murl passed away on June 21st, 2008. 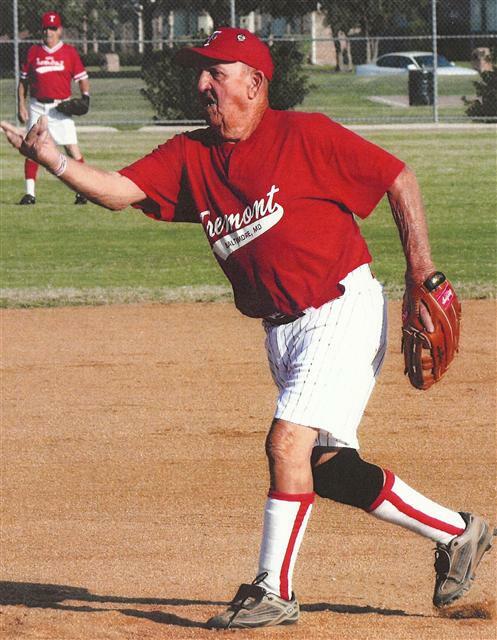 Donald Farber Joe Stein wrote, "Don is one of the few people that pours his heart and soul into senior softball. He is fair, honest and one of the most caring managers and players I have ever met. He not only takes care of his team and players, but takes on the responsibility of preserving the great pastime of Senior Softball and all that it takes to keep the integrity and the fun in the game for everyone involved. He is always willing to help other teams and all the people involved with such an organization." Jim Phillips wrote, "Don has that ability to take a group of individuals and through his guidance, mold them into a world championship team. He has shown the ability to encourage players with either a kind word or if warranted, an 'in your face approach', to improve." "Being a manager and keeping everyone happy is a very difficult thing to do. Don has shown the patience, perception, ability and psychological personality to perform the job as manager at the highest level." Robert Conk Bob Jones writes, "During the 13 years that I have played with and/or managed Bob, I always found him to be a fine gentleman, and his dediction to the sport is surpassed only by his desire to play." George Martin writes, "always positive, whether asked to play 3rd base, 1st base, catcher or extra hitter, Bob has never altered his positive approach to the game. He is certainly well respected by the opposition, and when Bob was not with us due to surgery, opposing players would ask about the "big guy who plays third base." "A consistent productive offensive threat" Al Wallace says, " Bob is a stellar 3rd baseman with a very strong arm. When not playing 3rd he moved over to 1st base where he demonstrated an exceptional ability to "dig-out" the throws. 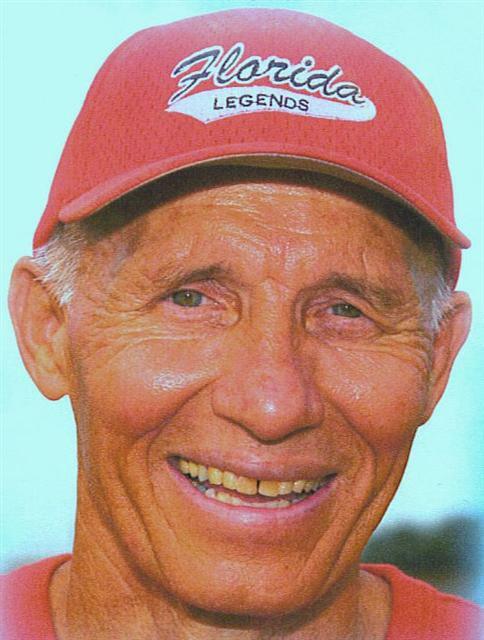 Paul Conrad Jack Hatter wrote, "At 75 years old, and despite his age, Paul was one of the best softball players in the country." "Paul is one of those players who could play anywhere, and alway do an outstanding job." "With great range, and a very strong arm, he was also an excellent picture." "Hitting with power, and for average, Paul was always one of the top hitters in every tournament he played in." "When things weren't going well, he was the one player you could count on to make the big play, or to come up with the key hit." "Paul was always willing to help other, and was the ultimate team player, always trying to do what was needed in order to get the job done." 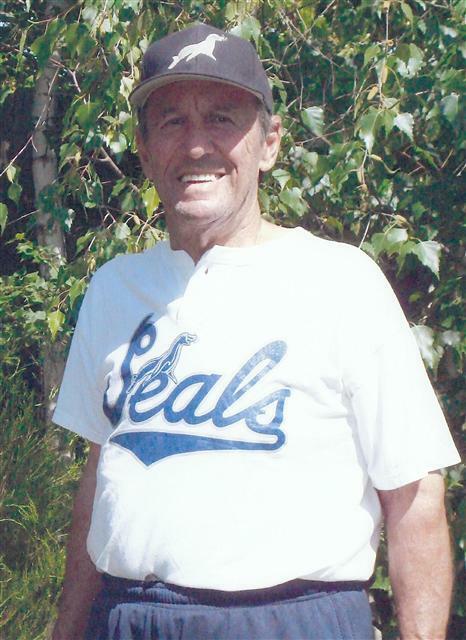 Unfortunately, Paul Conrad passed away this past winter at a softball tournament. Paul was playing the game that he loved so much. 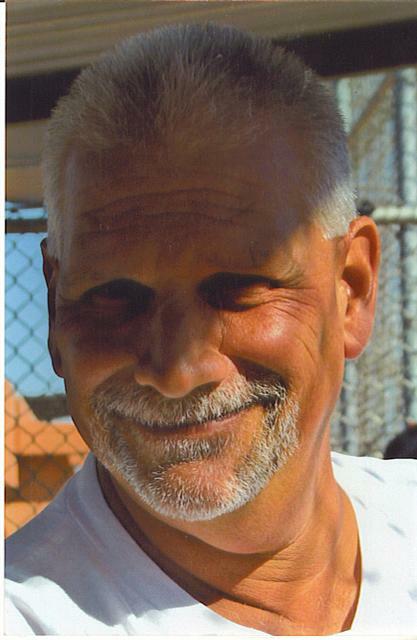 Frank Lapple Jerry Simon writes, " Frank Lapple has for years been one of the most prolific softball players both in California and across the country. He has performed at the highest level regarding not only his Senior Softball play, but his personal attitude towards Senior Softball." Spider Pitzer wrote, " Frank has been one of the most outstanding 1st basemen and a power hitter deluxe. Not only has he been an outstanding player, but as fine an individual as I have encountered as a manager." "He is a real team leader"
John Rawlings Spider Pitzer wrote, "John gave me everything that I could hope for in a player. A good infielder, he can play 2nd, 3rd, short, or rover. He has great hands and is a clutch hitter. I especially like his attitude, his was great, he is a fine Christian man." 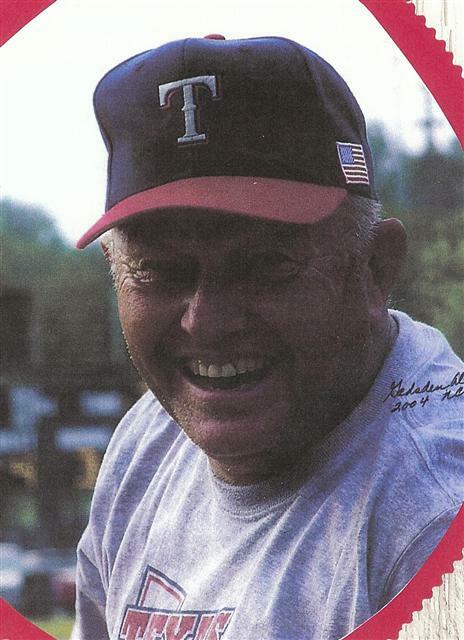 Lyle Nielsen writes, "John Rawlings is the epitome of the kind of player and person we all strive to be. He is a living legend to us all." 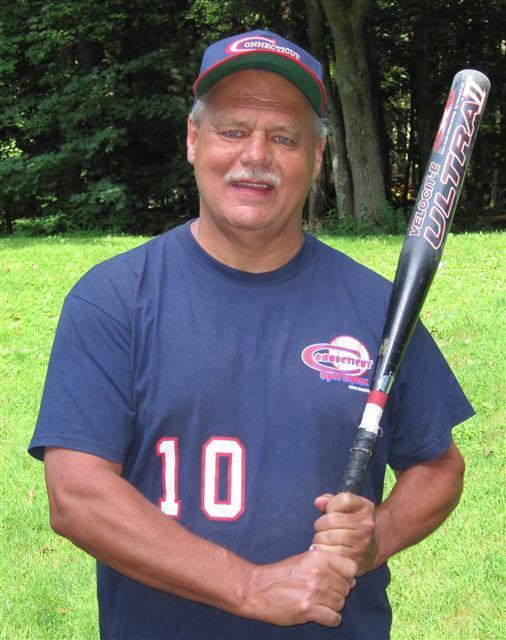 "The oldest player in this league, he pinch runs for many of the younger players. He is a true "5 tool" player and in his case you could add a 6th tool in that he is a fiery competitor, but with a gentleman's attitude toward the game and others. He can play every position on the field, and play it very well." Ron Schwartz Bob Bedolla wrote, "Ron's stoic personality desguises a fierce inner competive desire with a 'Refuse to Lose' attitude. Not only is this man an exemplary ballplayer, he exudes an attitude that transcends softball. Always cajoling his teammates to give that extra effort, Ron will also compliment an opponent on a sterling play as quickly as he would his own teammate." Don Farber says, "You could blindfold him, turn in circles, put him on the mound, and he'll throw a strike each and every time. He is a loyal and thoughtful teammate." 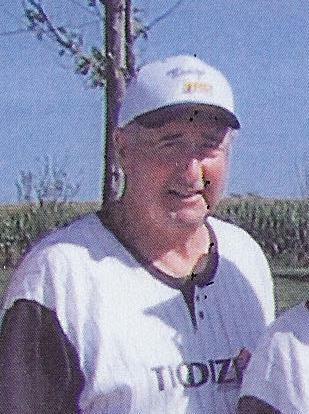 Tom Palma wrote, "Ron has been and is still the best senior softball pitcher around. His control and defensive skills around the mound are the best. He is one of the key reasons that his teams are able to have such a good record against any competition." George Pickett says, "Ron has a memory like an elephant, once he finds a hitters weakness, he never forgets and that hitter only sees a strike in an area that is difficult for him to handle." 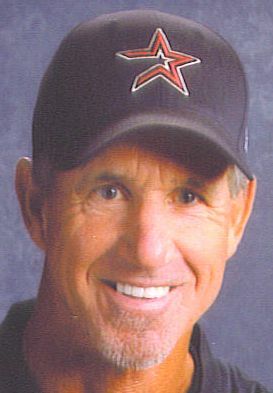 Bill Winter "Bill has been a major contributor, not only as a fine defensive and offensive ball player all these years, but as a major ambassador of softball belief. He is a gentleman who is known by a huge majority of softball players throughout the US. 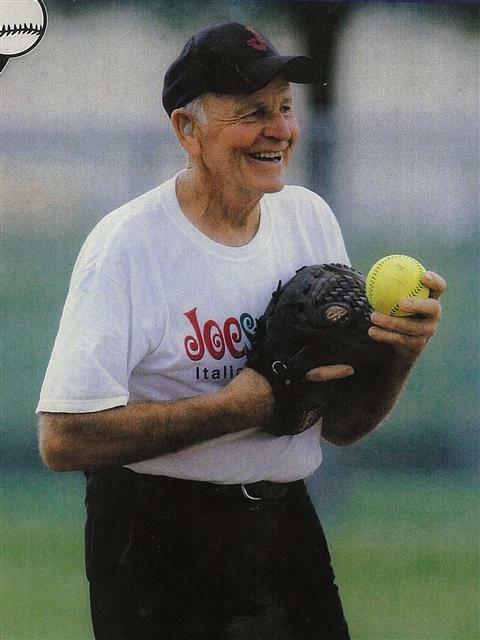 If you don't know Bill, he is the one with the constant smile, who is forever promoting other teammates, players from other teams, and teams from the softball world." 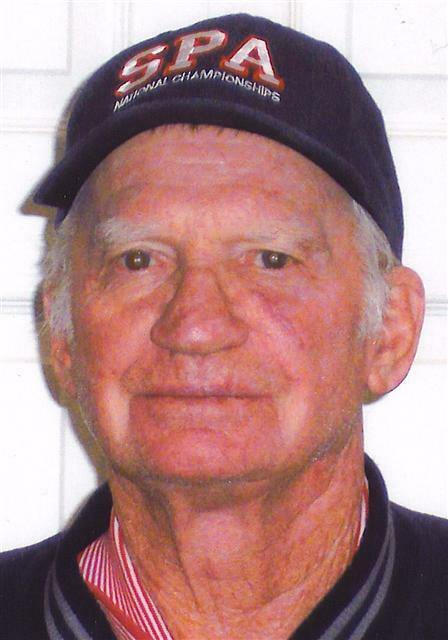 - Bob Lycan Al Brotherton wrote, "Bill was almost always one of the top few players in batting average. In addition he is a tremendous infielder. He seldom makes and error and consistently makes difficult fielding plays look easy. 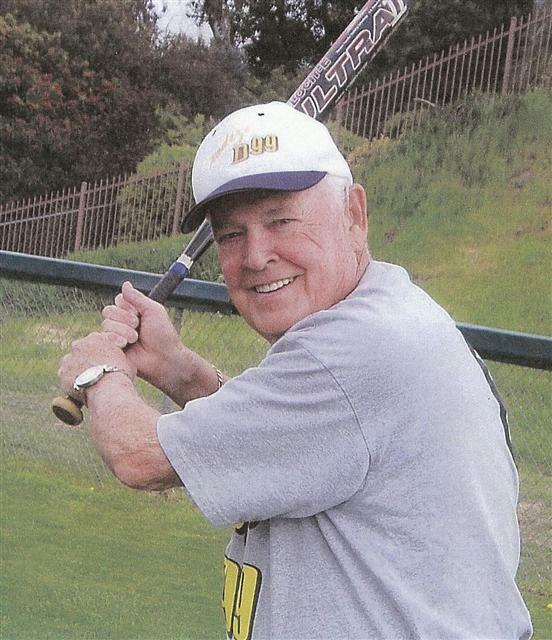 He is a 'total' ballplayer and 'the real deal' when it comes to Senior Softball. He absolutely loves to play the game." "He is one of the finest teammates a player could have. He is courteous, respectful, considerate, humble, and downright awesome to 'hang out' with." Mark Canegallo "Affectionately called "Boo" (short for Buddha), Mark Canegallo is one of senior softball's most prolific home run hitters. "Boo" not only hits many home runs, he hits some of the longest home runs in senior softball, an accomplishment that creates a sense of awe among opponents all over the country." "A main cog in the success of his teams, at 6' 4" and 270 pounds, "Boo" presents a formidable presence and plays as large as his physical dimensions. His true value is his intensity and a desire to win that, more often than not, results in victory. Zeb Carter "Zeb's character is exemplary, he is enjoyable to be around, and has a positive influence on all of his teammates." David Decker said, " I have played with and against Zeb for the past 16 years, and he is one of those players that you love to have on your team, but hate to play against. He hits with enormous power and high batting average tournament after tournament." "Zeb is a superb hitter, one of the very best I've seen in senior softball," says Patrick Bidelman. " He has again and again come up with big hits and has led the team repeatedly in batting average." Rainer Martens described Zeb as " amazingly consistent, batting around 750 year in and year out. There is no one that I would rather have step to the plate to get a winning hit than Zeb Carter. He's best in pressure situations, and the best clutch hitter that I've played with or against." Joe Czarnecki "Joe has been a double threat on every team that he has played, both at the plate and in the field. His excellence in hitting is due to a wonderful knowledge of the strike zone and his ability to hit for power as well as for average. Hitting over 750 during the past 4 seasons, he has also hit his share of home runs making him a double threat offensively." "Joe's team have been successful, and a good share of that success can be attributed to Joe's fielding skills. An outfielder by trade, Joe can also double as the middle infielder on the five man infield alignment." 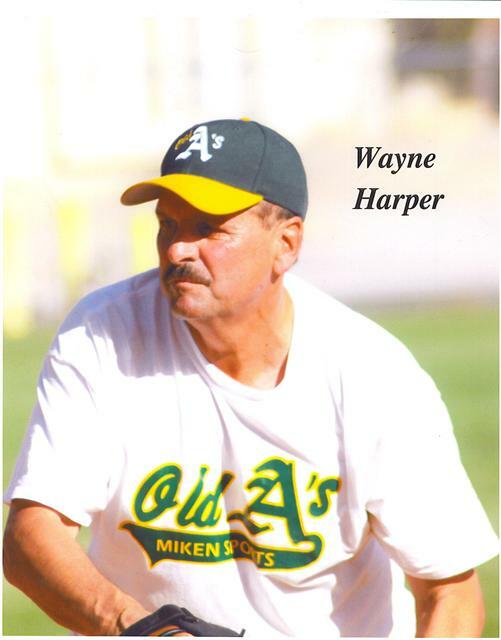 Wayne Harper Gary Tryhorn writes, "Wayne is a manager's dream of a player. He will rise to the occasion when it is demanded, and helps his teammates whenever possible. His positive attitude is infectious, which is a benefit to our entire team. He has the ability to relax the team at just the right moment. Ken Lipinski writes, " Wayne is one of the most positive and genuinely real people I have ever met in this sport. He is competitive but respectful and grateful of the chance to participate in this sport. He loves teaching the game, which is a reflection of his high school coaching days. "He does anything to help his team succeed." Ron McElyea wrote, "On the playing field, Wayne is very intense and focused on what needs to be done. The camaraderie with teammates and players on the opposing team is something to behold. This is a trait that few men possess." "An assett because of his versatility, he has been able to play and play well at any position that he is assigned to play." Rainer Martens "A true student of the game, Rainer always strives to win, hates to lose, and never places blame when we do. He is the team leader at shortstop, but knows the dynamics of each position and how it should be played. He continually strives for perfection in his game, and asks for and usually gets the best his teammates have to offer. Rainer sets the standard of excellence." - Derry Dedmon Lou Giovanini says, "The qualities of talent, hard-working, dedication, and team attitude are exemplified by Rainer in everything that he does, both on and off the field." "One of the best compliments that one can give a talented player, is that he is even a better person than he is a player. This would certainly be true of Rainer." Tom Schneider Gary Tryhorn wrote, " Tom has proven his ability time and time again. He is always one of the leading hitters on any team that he has competed with, and is known around the country as a feared long ball hitter." 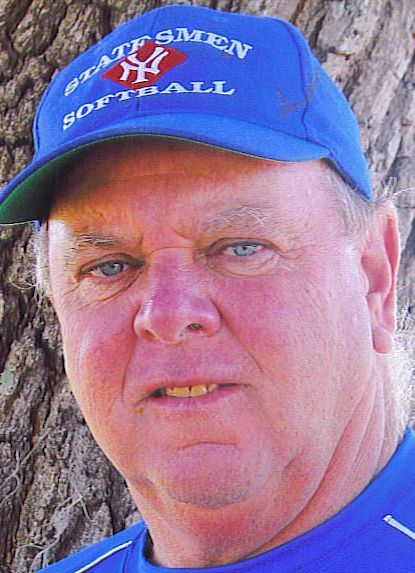 Ron McElyea says, "Tom has a total love of and a commitment for the sport of softball. He has always given his all when it comes to doing anything he can to help his team win. When he comes to bat, he is definitely someone that a pitcher has to pitch carefully to. One mistake and the ball will most likely leave the park." 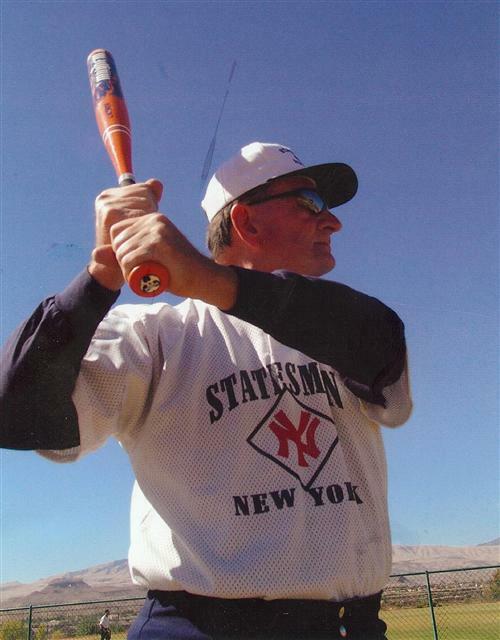 Bob Holland writes, "Aside from his rather formidable softball skills, I think those individuals personally acquainted with Tom, will readily agree, he is a man totally devoid of ego; he is dignified, unpretentious, well respected, and to put it simply a morally principled and true gentleman. Betti Garnett Born August 16, 1944 in Providence, RI, Betti started playing ball when she was ten years of age. She played through high school and on semi-professional teams before joining the military in 1962. She spent two years in the U. S. Marine Corps and then in 1973 joined the Navy, retiring in 1994 and moving to Florida. While on active duty, she played with the Women’s All Navy Team. Being a pitcher, she also plays all infield positions when not on the mound. Hanna Perez wrote, " Betti exemplifies senior ball as a seasoned player and leader. She brings spark to any team and motivates players to be the best." Betti , along with her team, was instrumental in developing the “Pelican Tournament”. Not only did she help run this tournament, but was responsible for the entire initial set up of putting the tournament together. She was responsible for ordering awards, acquiring facilities, worked directly with the city as well as acquiring the umpires for that particular tournament. 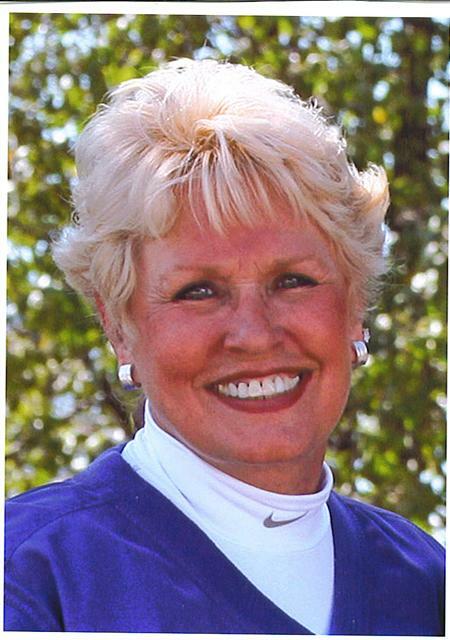 With her experience with softball, she was also instrumental in starting the “Good Life Games” which shows how Bettie takes control and supports Senior Softball. Betti not only plays the game, but also has been a manager, and has served as the East coast Director for SSWC. As a manager, she is fair, friendly and determined to win. Betti has won many awards while playing with various teams. She has been awarded MVP, All-American, and All-Tournament not just once, but several times. Donna Hackney Donna Hackney was born in Lebanon, TN., October, 1936. She retired from Nissan where she was a Group Lender. Donna has been playing senior softball for 13 years. She currently plays for the Tennessee Senior Stars. 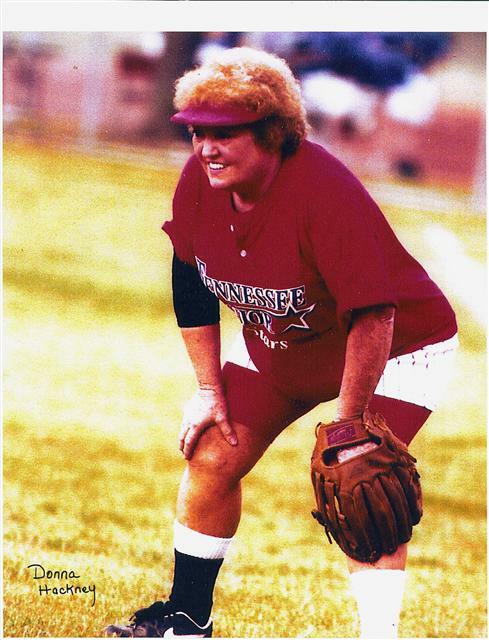 Tommy Bryan, sports editor of the Wilson Post writes “Donna has been a vital member of the softball scene in Wilson County and Middle Tennessee for many years, both as a player and a coach. As a player, Donna was and still is a great line drive hitter”. Renee Page, Tennessee Senior Stars head coach, says the reason she got involved with senior softball was due to Donna Hackney. She was her Little League coach when she was 10 years old. Donna has either coached or played softball her entire life. Donna is very knowledgeable in the game and a good Christian person. Kim Kendrick reports that she has known Donna for 30 years. She has coached her, played with her as a team mate, and high the highest respect for her ability to motivate her teammates to do their very best. Kim writes that Donna was always and still is a very positive person on and off the field. Donna’s career batting average is .800 and leads the team in RBI’s. She has played hurt on the field to keep the team motivated. She has always been an outstanding outfielder as well as teacher and friend. Peggy Oneill She has a career on-base percentage of .801 in Senior Softball. Peggy hit eight consecutive at-bat home runs in the 2005 Las Vegas women’s tournament. She has been awarded bat-sponsorships with both Demarini and Miken. In October, 2006, after undergoing a mastectomy and chemotherapy treatments, she refused to sit on the bench. 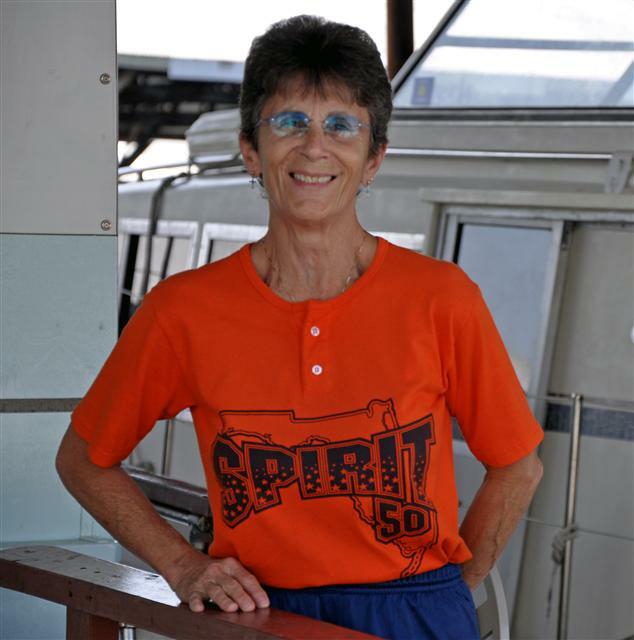 She said, “If I’m going to feel lousy, I might as well feel lousy doing something I love.” Over the fourteen months of chemotherapy, Peggy played in more than a hundred games, including tournament in Las Vegas, Florida, and California. Michael Samuelson wrote, "I cannot imagine any women's or coed teams to have a record as impressive as the twenty-six year run Mom has had coaching and playing." Miles Davis writes: Peggy’s greatest assets are she knows how to win and always has the attitude that she will win. She plays hard every play, every at bat, and every game. She knows the rules and is very supportive of other players. Peggy has the ability to bring players to their highest level. Larry Fullerton says Peggy as a player is smart and her head is always in the game. She is an excellent base runner and always looking for that extra base. She can hit to any field and hits behind her runners. She is one of the longest ball hitters in the area, still at her age. I don’t know how old she is, I do know she is over 60 and still plays equal and most times better with players that are in their twenties. I don’t know how many games I have umpired over the years, but I know it’s special when Peggy and her bunch take the field. Jill Smith writes: Over the past 9 years, I have been associated with Peggy in the Senior Women’s softball program as both a member of an opposing team and as a teammate. Whether she is in the field or on the bench, she is clearly a strong team leader.